The artistic research turn, currently activated on a large scale, with effects both on the conception and design of education curricula applied in certain academic environments as well as in the delimitation as research forms of a number of practices and theories of contemporary art produced and discussed in professional environments, has generated complex reactions, from the organisational establishment of initiative networks to the punctual production of conferences, exhibitions and publications.1 Despite the inherent contradictions related to strategic positioning in the field of artistic research, most of those involved in the clarification of research philosophy and in the operationalisation of research practice agree that the production of artistic research should take place from the perspective of criticality and creativity. One could speak about a diversity of the applications of artistic research in differentiated worlds of art-in-action rather than about some institutional need for a political unification of theoretical fields and of practical agendas in order to obtain a very effective way of building an intelligible and pragmatic image of research, so that those in a position to allocate funds are persuaded to also take into consideration the efforts to produce meaning and the social effects generated through the practices of academic communities in the artistic domains. While a part of this academic community is concerned with identifying solutions for adapting to the requirements of the neoliberal funding ideology, making compromises that affect the quality of freedom to experiment in art, other segments of the community (although the association of each of those working in the academic world with a certain community may be a systemic pitfall) try to operate from a perspective of resistance to the external requirements of eligibility in research funding, looking for alternatives of rewriting the unilateral protocols imposed by the funding providers. Even though we may discuss geographic differences in the types of funding for artistic research, which may influence the production of projects as well as the collaborative associations of researchers, more relevant appear to be the ideological stances that distinguish critical engagement as opposed to passive acceptation of the implementation of governmental education policies. Without generalising the description of artistic research practices from a single political point of view, we may discuss however the possibility of creating an oppositionality between the agency of the artist as researcher and the agency of the artist as entrepreneur. The former would act in an experimental field of artistic investigations freed from the considerations of commercialisation for survival, while the latter would do everything in his/her power to make a difference in a select system of planning within the creative industries with market consequences. Beyond the mathematisation of the adherences to the doctrines of the free art market, where an “invisible hand” allots funds to the chosen ones, whose creative and accounting talents are above the “invisible and immaterial labour” of those who are ignored because they defy the neoliberal monopolicy of funding for education projects in arts, the dissociation between the artistic research practised in the academic environment in the shape of doctoral projects and the artistic research carried out by an artist in his/her professional environment in the shape of a public statement may also be viewed from the perspective of the manner in which this affects both the education visions in the nervous systems of art education as well as the position of audiences in relation to the exhibition projects presented in galleries, art centres, biennials and punctual events correlated to long-term projects. 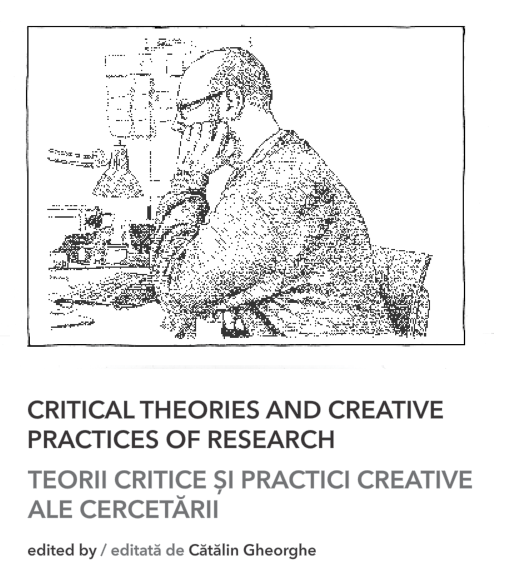 Thus, without directly indicating the crossing pints between critical theory and artistic research, I have chosen to publish the viewpoints of key authors in the discourse concerning the mission of artistic research, who identify a procedural balance between criticality and creativity. In his text intervention, Henk Slager discusses the departure from the art history based model of interpretative reflection and its replacement with an experimental model, produced in environments specific to laboratory work, which would contribute to the production of new knowledge and experiences. Artistic research would thus operate from the perspective of discursive turns, of provisional constructs, of self-reflection, of an experimental aesthetic, of a rhizomatic connectivity, of a specifically artistic thinking, of a “joyful” wisdom based on the pleasure of thinking aesthetically in an experimental manner. Andrea Phillips analyses the conditions for the political exercise of practice within the doctoral programmes running in artistic higher education institutions, which require an assessment of productivity in the field of knowledge, of the originality of creativity and of the effectiveness of criticality. However, due to the ability of those involved in such doctoral programmes to create new possible forms of artistic (self-)education, new opportunities open for the disensual configuration of the visibility of work and of discourse in the public space. Mick Wilson’s text presents principles of artistic research in the context of the analysis of an unfinished project focussing on death and on the way mortals are exposed to the effects of political imagination. The author is thinking that research should concern itself critically,andfroma perspectiveoftheactuality,withtheproductionofworksratherthan with providing theoretical clarifications of work methodologies; that it should bear in mind the way the world presents itself to us, in the diversity of its experiences, thus confronting our beliefs and identity values; and that it should be concerned with dealing with common issues through dialogue and contents exchange that are interesting to both the public and the researcher’s community. Talking about his experience on the ground and the conceptual investigation of the production of the project An Oral History of Picasso in Palestine, Michael Baers approaches the issues of occupation in the Palestinian territories by interpreting the manner in which an artistic and curatorial project was able to operate politically. The focus on detail, the description of the complementarity of the obscenity and the opacity of the occupied zone, the structuring of a collection of oral histories, the use of parasitic critical strategy in relation to the methodology of the provision of artistic services and the reflection on finding one’s own place in reality resulted in the production of a 600-page graphic novel. accounts of those involved in the physical and symbolical display of Picasso’s painting in Ramallah cross paths with the authors’ own day-to-day and theoretical reflections. Michelle Teran’s research work presents one of her guides for the future, based on a reflection on the production of everyday images, present both in online archives generated in social networks and in the physical realm, observed through translations in the public space. My practice examines the compulsion to return to locations that are no longer physically accessible, in particular those that were witness to distressing events, through installation and photography. The strict viewing conditions within the context of the exhibition cannot be recreated when the individual images are viewed as prints, nor have I found a way to successfully document the overall exhibition. In my attempts to present my research findings the device of ekphrasis, in this case the verbal description of a visual work of art, shares many characteristics with verbalisation, a significant element in the processing of traumatic experiences. I purposefully assume a range of styles and voices in my writing, restively shifting from one viewpoint to the next, in a manner that reflects the struggle to articulate such events. From another perspective of research practice, Rachel Mader questions the condition of the narrative being correlated to works of art, taking into consideration less often the relevance of using narrative (built through participative observation, through archive research or through the application of mapping techniques) in order to report both the experience of producing a work of art under the influence of an institution (taking into account, for example, the ways in which the artists are treated or paid, the location in the urban space of the exhibition venue, the communication procedures of the institutions or even internal frictions) as well as the experience of understanding the way the institutional structures of the contemporary art scene are operating. The last project presented in this publication, conceived by Jesper Alvær, presents examples for shifting research inside and outside exhibitions, using various formats influenced by the context in which the work of art is produced and disseminated. Reading through all the contributions in this publication it will become clear that the processuality of research is recurrent; also that, inevitably, research is political, an act of decision which, if is not programmatic, at least is consistent, but taking into account a vision motivated by the authenticity of its separation from the hegemonies of the production of meaning. Research is performed in crisis, but it is not threatened by uncertainty, it is open to all scientific cultures and to all cultural epistemologies, it gains terrain through resistance while not forsaking its aesthetic vocation. Comments closed — Trackback URI RSS 2.0 feed for these comments This entry (permalink) was posted on Tuesday, December 2, 2014, at 8:20 am by admin. Filed in artistic research, Publication/Writing.